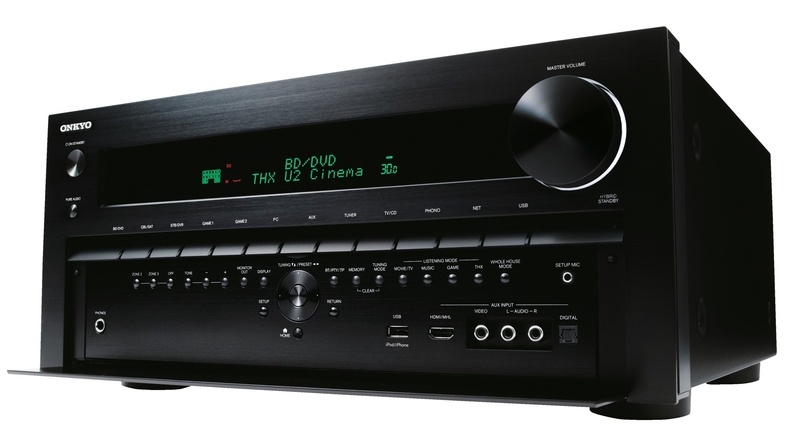 Onkyo TX-NR3010 is a 9 channel AV-Amplifier with up to 200 Watt for each channel. 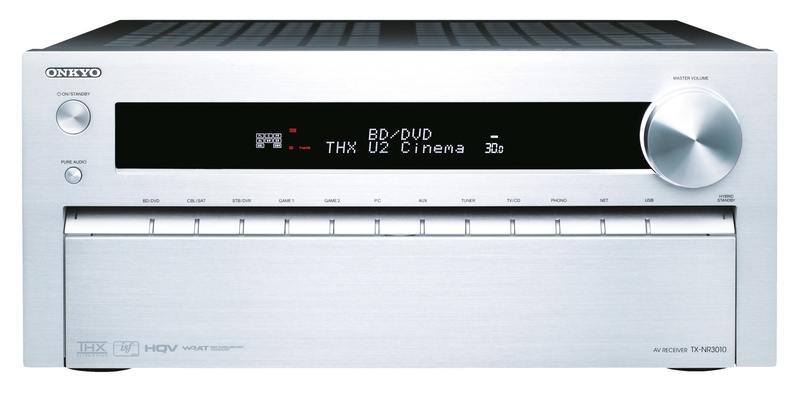 The amplifier is THX Ultra2 Plus certified ensuring that this amplifier satisfies the most stringent requirements of THX. 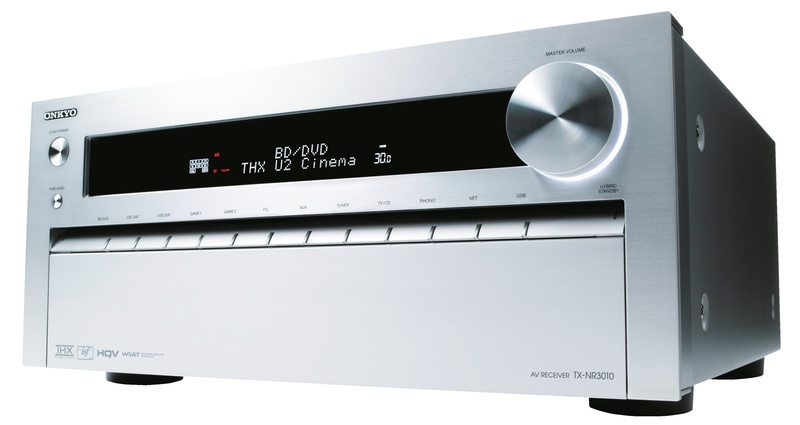 TX-NR3010 supports many audio formats. Below you find a list of the most important audio formats with a short description of each format. To achieve the best possible sound reproduction in a home theater setup TX-NR3010 is equipped with automatic room correction that adjusts a number of parameters based on measurements made using an included microphone. Noise level of each speaker automatically adjusted along with delay based on the placement of speakers. In addition adjusted frequency response of each speaker so that it fits the room and speaker. 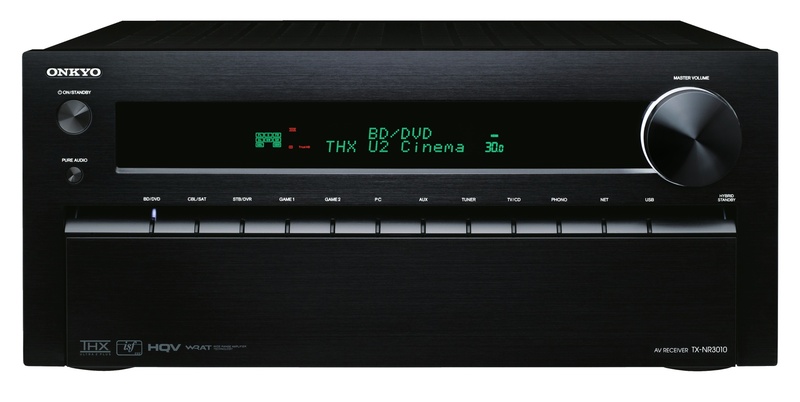 The specification for the equalizer for the main channels are 7 bånds, while it is 5 bånds for the subwoofer channel. The room correction technology that TX-NR3010 is equipped with is Audyssey MultEQ XT32 that is developed by Audyssey, a firm that specializes in developing sound processing to many of the major manufacturers of AV-amplifiers. Audyssey MultEQ XT32 is the most advanced processing from Audyssey. To get the best possible bass reproduction in your home theater setup TX-NR3010 has individual bass handling of the different channels. That means you can set different value for lowpass filter for each speaker group. The low pass filter can be set to a wide range of frequencies. The available frequencies are 40, 50, 60, 70, 80, 90, 100, 120, 150 , 200Hz. TX-NR3010 is equipped with a wide range of connection option for video sources. 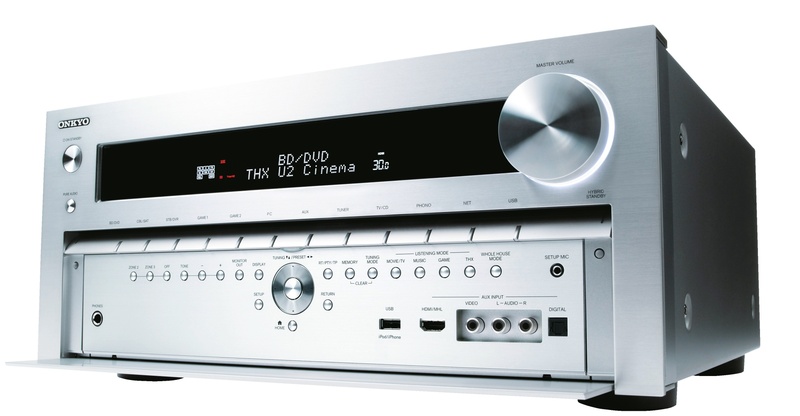 It has 8 HDMI, 2 component and 4 composite inputs.It also has 6 RCA inputs for analog audio connection and 3 optical digital inputs and 2 coaxial digital inputs.For connection of equipment that has its own decoding of multichannel audio TX-NR3010 is equipped with 1 x 7.1 RCA multichannel input. TX-NR3010 is also equipped with connections in the front for easy temporarily connecting equipment. It has 1 HDMI input 0 S-Video input, 1 composite input, 1 RCA audio input and 1 optical digital input. The amplifier is equipped with 2 HDMI monitor outputs that ensures that you can connect to a projector and TV simultaneously without having to reconnect. In addition, it is equipped with 1 component, 1 s-video and 1 composite monitor outputs.The amplifier supports HDMI Arc (Audio Return Channel), which means it can receive audio from a TV from the same cable that transmits image from amplifier to TV. This keeps you from having a seperate digital cable or RCA cable from the TV to the amplifier. Requires that the TV supports HDMI Arc. The amplifier is equipped with 9.2 RCA preout output that allows you to connect to power amplifiers and active subwoofer. 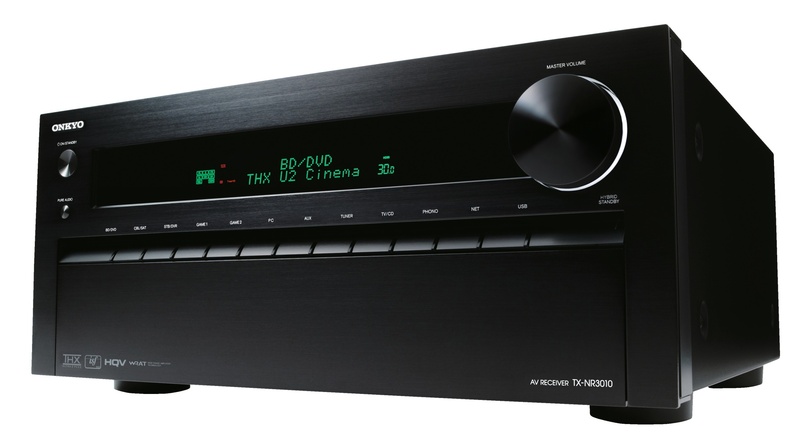 Like many other amps TX-NR3010 have embedded multimedia functionality that reduces the need for PC and other computer components in your setup.Playback of audio files is possible from the network or from USB. To see details of the audio formats that are supported see technical specifications. TX-NR3010 is DLNA certified so you are assured that it is compatible with other DLNA equipment. It is DLNA certified for audio playback over network. TX-NR3010 allows for playback in multiple rooms, with different sources for each room. For stereo playback the amplifier is rated to provide 2 x 200 Watt with measuring method DIN, 1 KHz, 6 ohm, THD 1,0% and for multi channel up to 9 x 200 Watt by measuring method DIN, 1 KHz, 6 ohm, THD 1,0%.In setups where there is no need for the integrated power amplifier for the surround back channels can these power amplifiers in TX-NR3010 be configured so that the front speakers are bi-Ampet with two amplifiers for each front speaker (separate amplifier for bass and treble / midrange). With audio processing for 9 channels and power amplifiers for 9 channels this amplifier has the following possible speaker configurations. TX-NR3010 is in sale and the lowest price that is observed is kr 13,890,-. Use the links to price engines on the right side to find the cheapest stores.